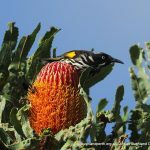 The Urban Bushland Council and the Wildflower Society of WA nominated Perth’s Banksia woodlands as a Threatened Ecological Community under the Federal Government’s Environment Protection and Biodiversity Conservation Act. 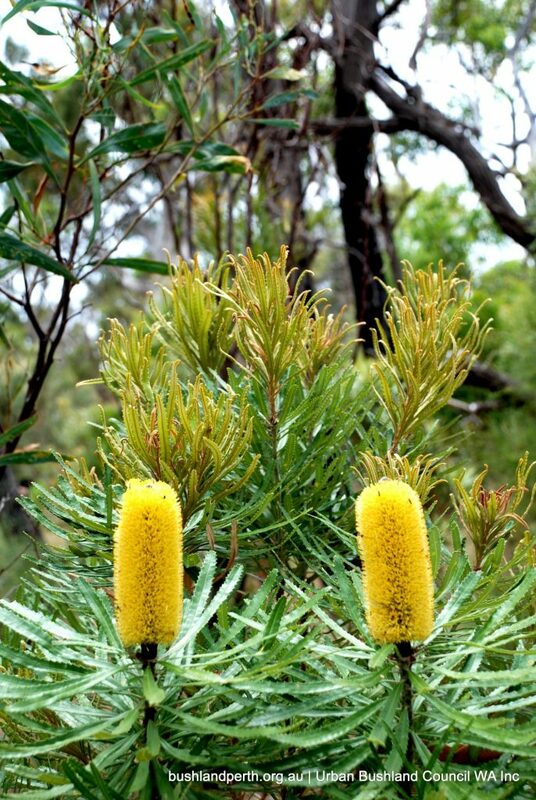 Following the recommendation of the Threatened Species Scientific Committee, the federal Minister for Environment accepted the conservation advice and the subsequent listing of ‘Banksia Woodlands of the Swan Coastal Plain ecological community’ in the category of ‘endangered’ was effective from 16 September 2016. It is available here…… (Download). The listing is a beautifully written and compact document. 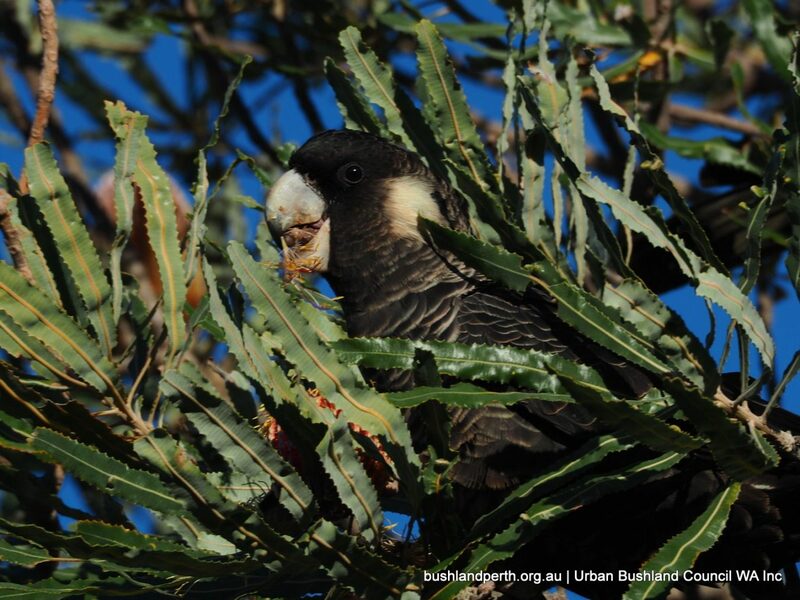 As the Advice (p 33) states ‘The conservation objective is to mitigate the risk of extinction of the Banksia Woodlands of the Swan Coastal Plain ecological community, and help recover its biodiversity and function……’. The Advice continues with three key approaches to achieve the conservation objective. These are to ‘Protect’ the ecological community to prevent further loss of extent and condition; ‘Restore’ the ecological community within its original range by active abatement of threats, re-vegetation and other conservation initiatives;‘Communicate with and support’ researchers, land use planners, landholders, land managers, community members, including the indigenous community and others to increase understanding of the value and function of the ecological community and encourage their efforts in its protection and recovery. 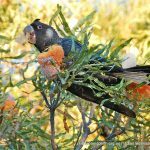 This advice means no more clearing of Banksia Woodlands. 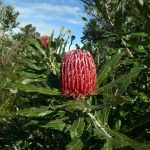 What are the Banksia Woodlands? 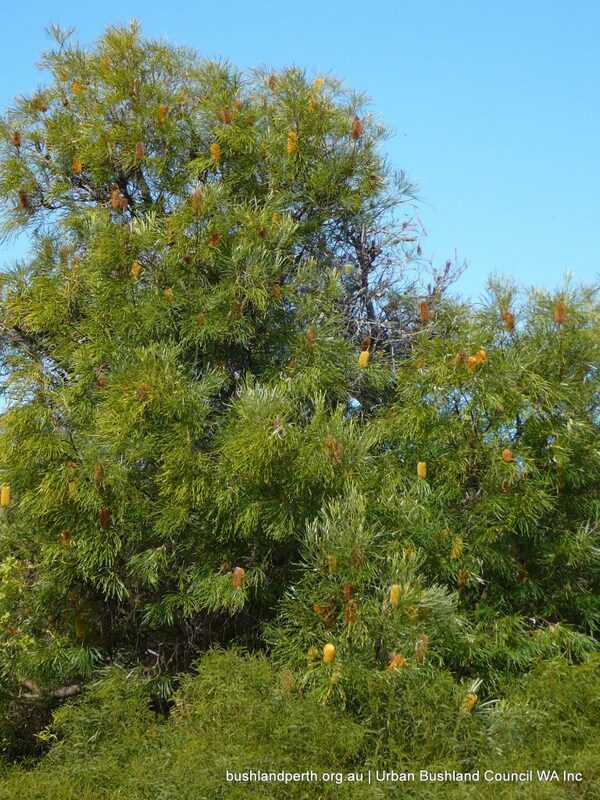 Banksia Woodlands are the iconic landscape setting for Perth. 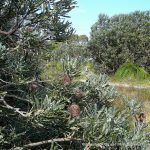 Their main feature is the presence of both Banksia attenuata (Candle Banksia) and/or B. menziesii (Firewood Banksia) occurring on deep sands. Both commonly co-occur and are ancient species. 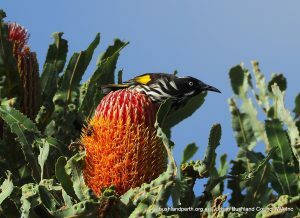 They occur on the Quindalup Dunes, Spearwood Dunes, Bassendean Dunes and rarely on the Pinjarra Plain landforms, all of which comprise the dominant landforms of the Swan Coastal Plain. Chains of wetlands are features of the zones between each of these (pairs of) landforms. 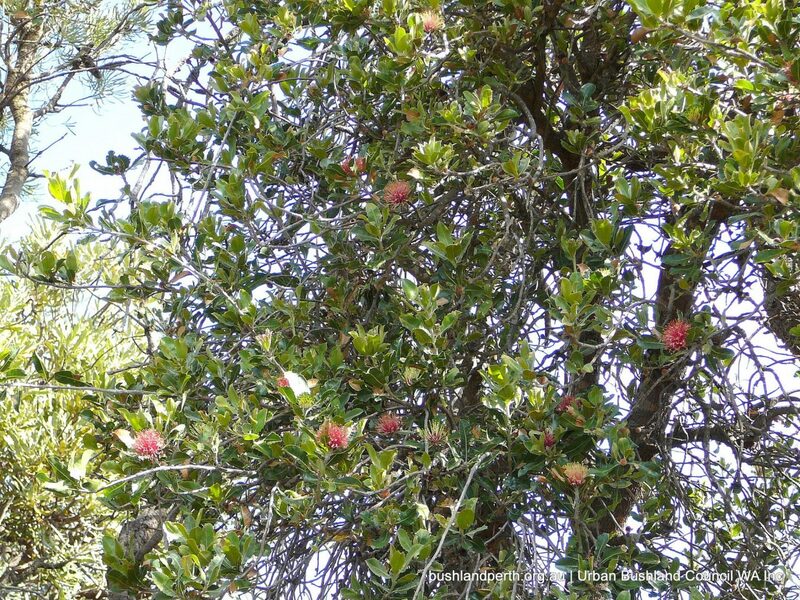 They are known for the exceptionally high number of common or dominant species in the shrub and ground level layers; the very large number of species in each sub-community and for the marked changes in composition of the understorey over its range (i.e. moving north – south or east – west). 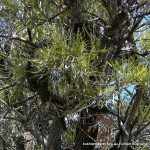 Although no vertebrate fauna is unique to Banksia Woodlands, these woodlands support a rich and diverse array of reptile and bird species on the Swan Coastal Plain. The Swan Coastal Plain is rich in fungi species. Over 70% of the native ground mammal fauna known from the Swan Coastal Plain at the time of European settlement has become extinct. 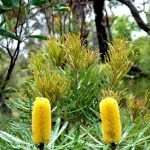 It is extremely important to protect the ecological linkages connecting areas of banksia woodlands, one to the next. 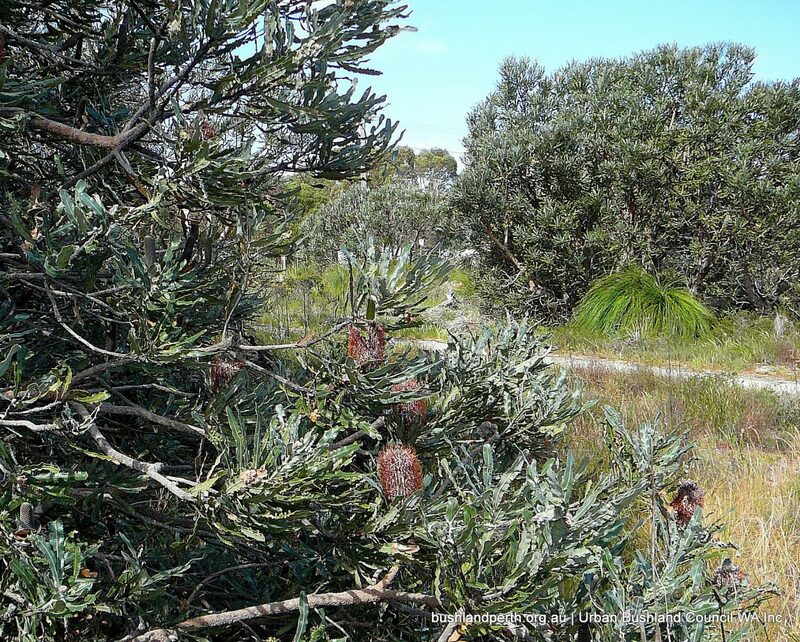 While there are some larger patches of intact Banksia Woodland, there are many more smaller intact patches as well as remnants of Banksia menziesii and B attenuata overstorey scattered across the suburbs of Perth along roadways and through parklands, golf courses, and backyards forming regionally and locally significant ecological linkages. 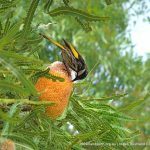 These linkages are under increasing threat from urban development, and urban ‘infill’ due largely to the lack of appreciation and understanding of their ecological significance at the local level and regional levels. This threat is excacerbated by the lack of formal legally binding recognition that such linkages are valuable ecologically and need to be retained, maintained and enhanced. 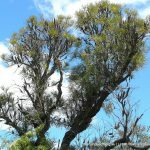 The sustainability of the biodiversity of these species-rich Banksia Woodlands is now critically dependent on maintenance of these linkages. 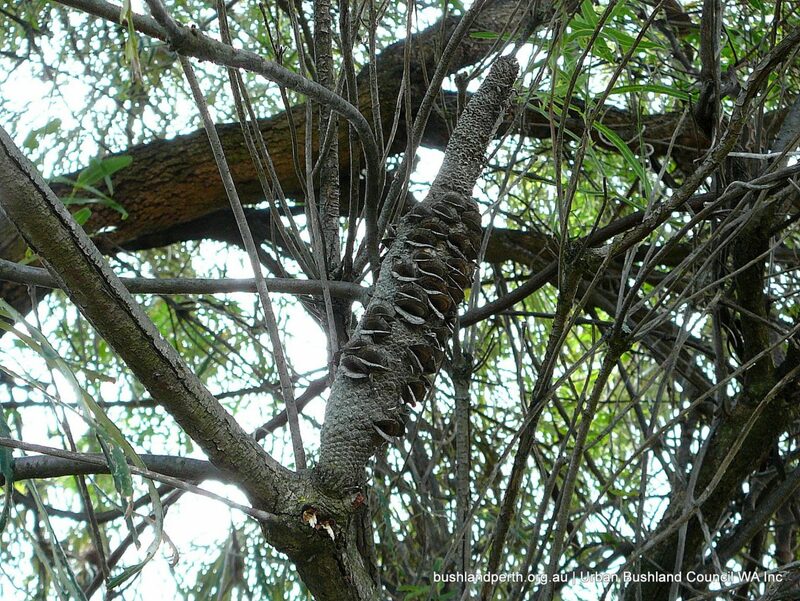 They are essential as wildlife corridors for seasonal movement of fauna (eg. small bird species, invertebrates), and to act as refugia and corridors for recolonisation after catastrophic events. 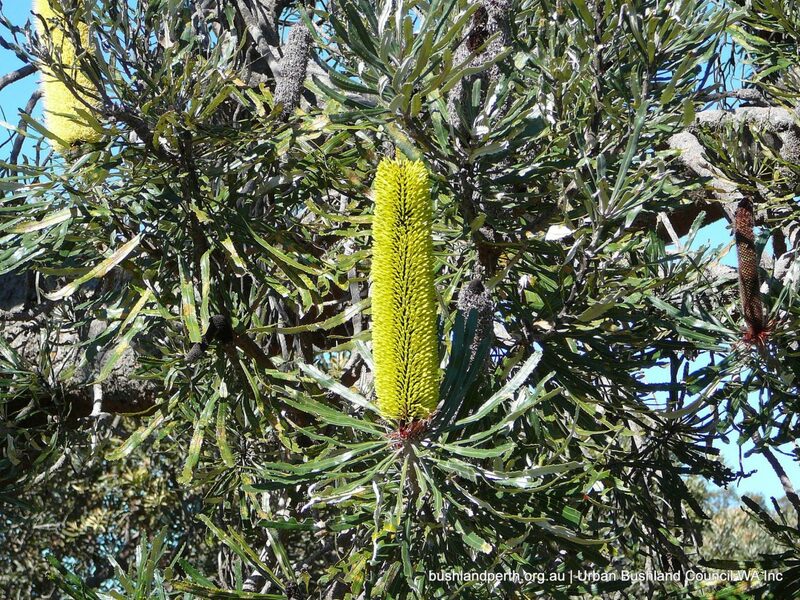 Banksia as a genus is an ancient West Australian. 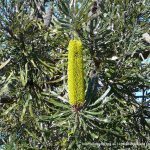 Banksia woodlands, including the dominant trees of the woodland, define the Perth Metropolitan area and are an Iconic Community of our City. 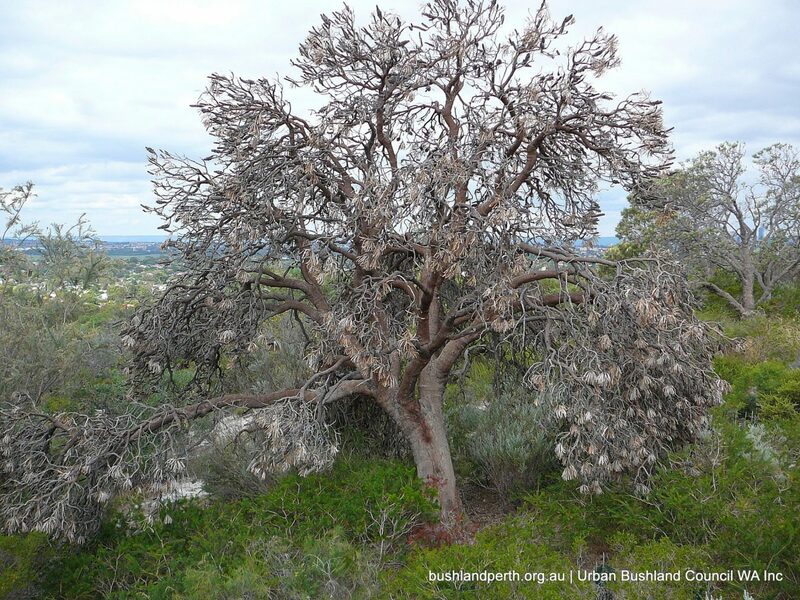 Urban Bushland Symposium Proceedings: Perth’s Banksia Woodlands – Precious and under Threat. Download here. 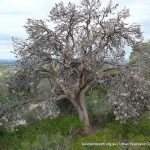 Presentations by Greg Keighery and Val English from DPaW at the 2014 UBC AGM on the topic of ‘Our Precious Banksia Woodlands‘ are available below. 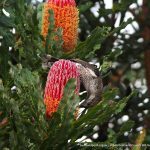 The talks covered the distribution and diversity of Banksia woodlands from general structural maps to floristic variation, and then lead into discussion of Threatened Ecological Communities (TECs) and possible EPBC listing for Banksia woodlands. 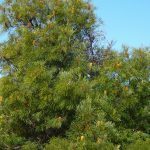 Dept of Environment and Energy – Fact Sheet: Banksia Woodlands of the Swan Coastal Plain: a nationally-protected ecological community. Slender banksia (Banksia attenuata) showing its striking yellow flowers. 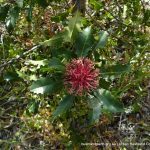 Usually found in association with Firewood Banksia resulting in flowers from one or the other being available as a food source for practically the entire year. Photo: Marg Owen. 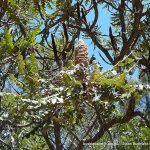 Slender banksia (Banksia attenuata). Flowering spike just prior to opening at Inglewood Triangle. Photo: Christine Allbeury. 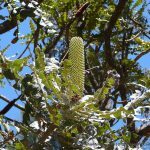 Slender banksia (Banksia attenuata). New flowering spike at Inglewood Triangle. Photo: Christine Allbeury. 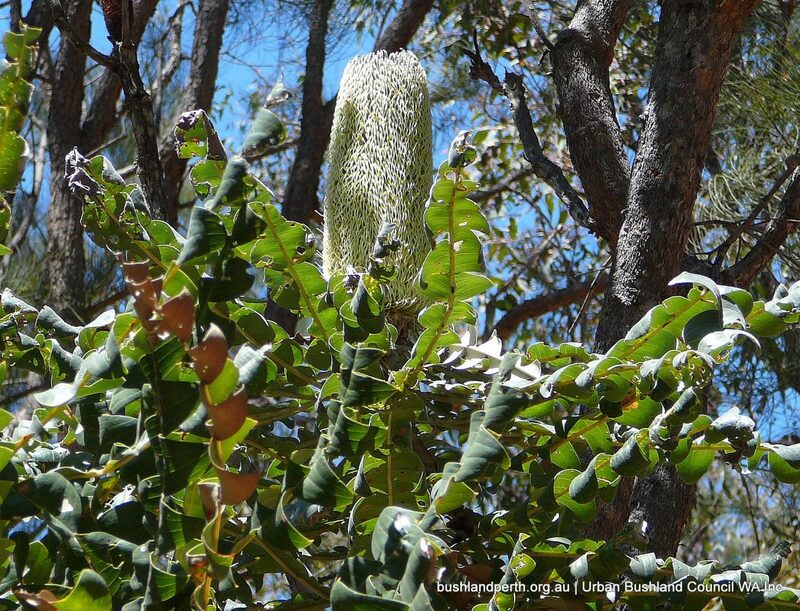 Slender banksia (Banksia attenuata). 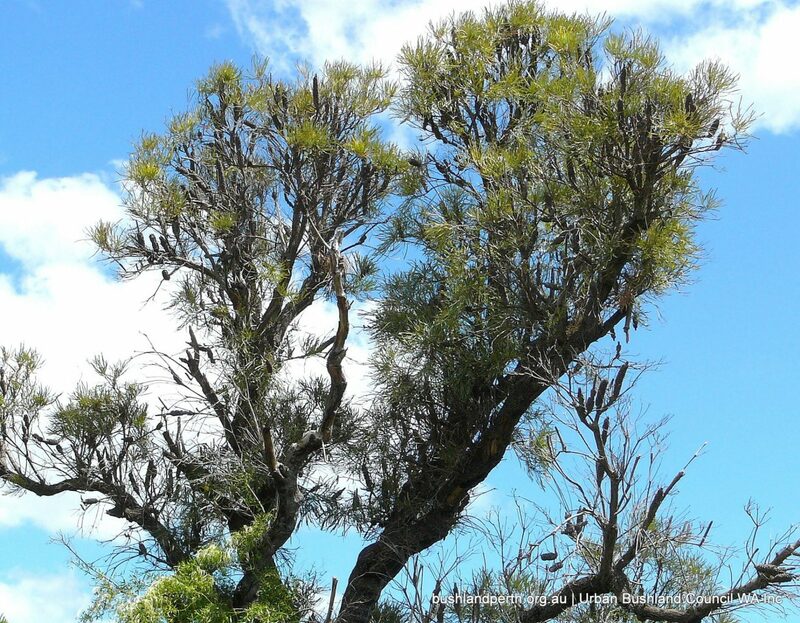 Banksias are increasingly dying due to lower rainfall and lowered watertables from that and excessive drawdowns. This former magnificent specimen taken at Reabold Hill. Photo: John Baas. 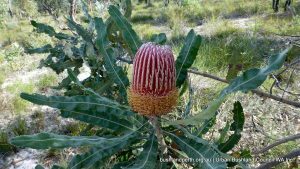 Bull Banksia (Banksia grandis). 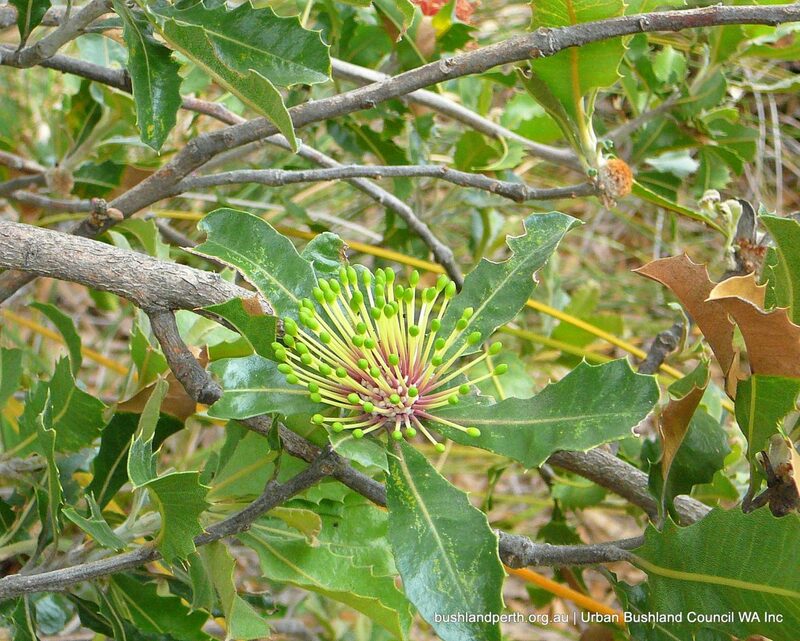 Bull Banksia is common in many Perth area habitats; particularly in Hills areas but also on the sands. This photo taken south of Armadale on laterite. Photo: John Baas. 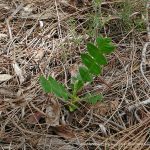 Bull Banksia Seedling. 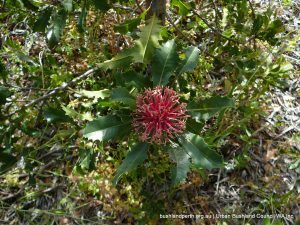 (Banksia grandis). 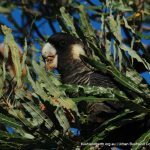 This photo taken at Lowlands Estate on Bassendean sands. Photo: John Baas. Firewood Banksia (Banksia menziesii). 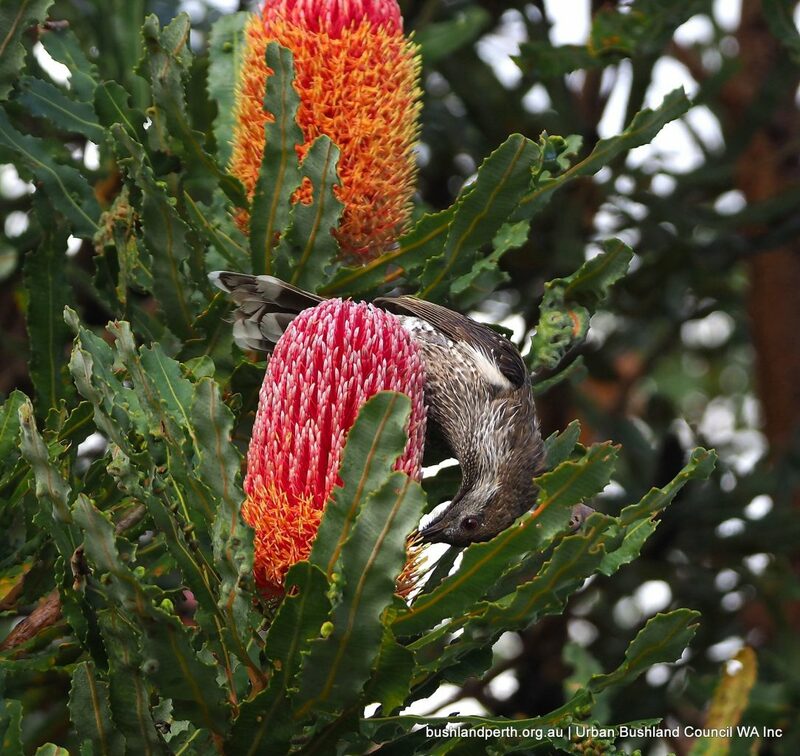 Little Wattlebird at Inglewood Triangle. Photo: John Baas. Firewood Banksia (Banksia menziesii). 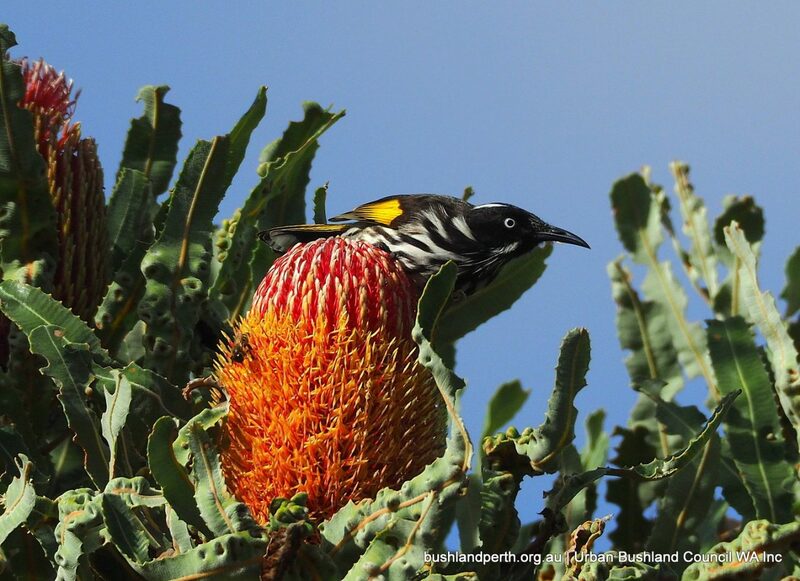 New Holland Honeyeater at Inglewood Triangle. Photo: John Baas. Firewood Banksia (Banksia menziesii). 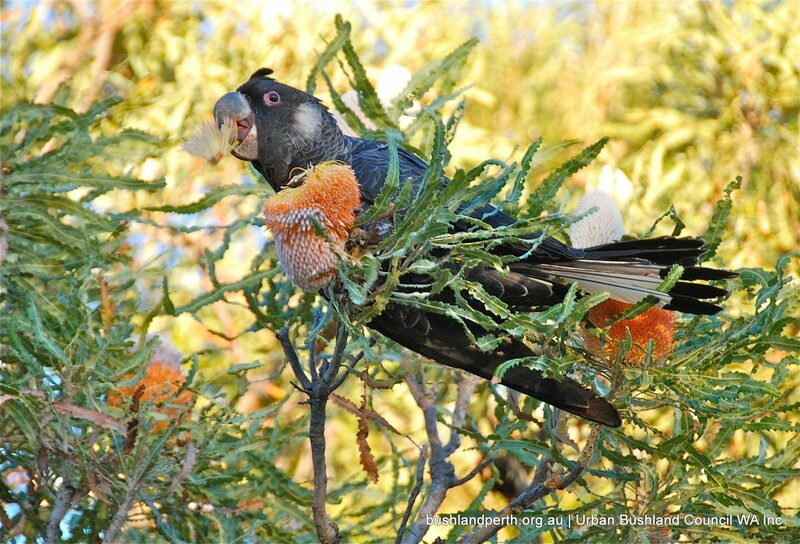 Carnaby’s Black Cockatoo often visits the Banksias at Inglewood Triangle. Photo: John Baas. Firewood Banksia (Banksia menziesii). 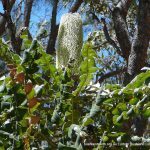 Spectacular flowering cone; at Koondoola Regional Bushland. Photo: John Baas. Firewood Banksia (Banksia menziesii). 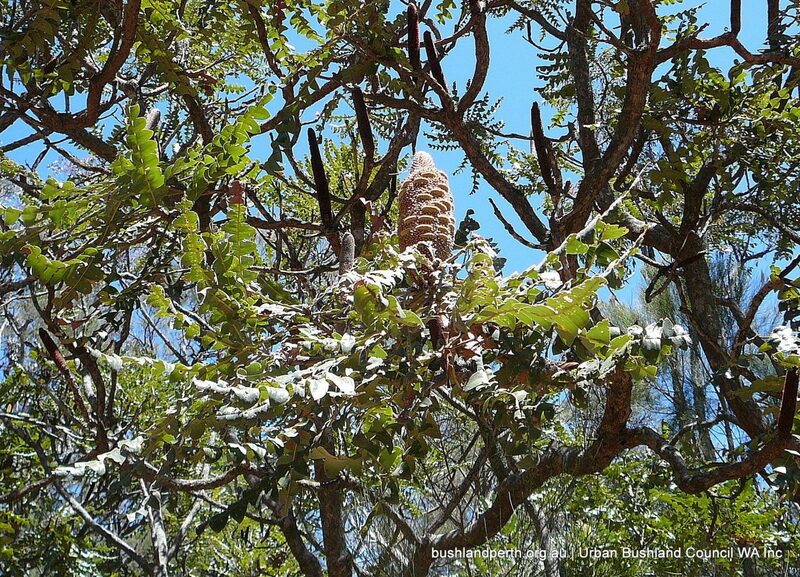 Showing the previous flowering’s fruiting cones. With a typically conformed menziesii in the background. Inglewood Triangle. Photo: Christine Allbeury. 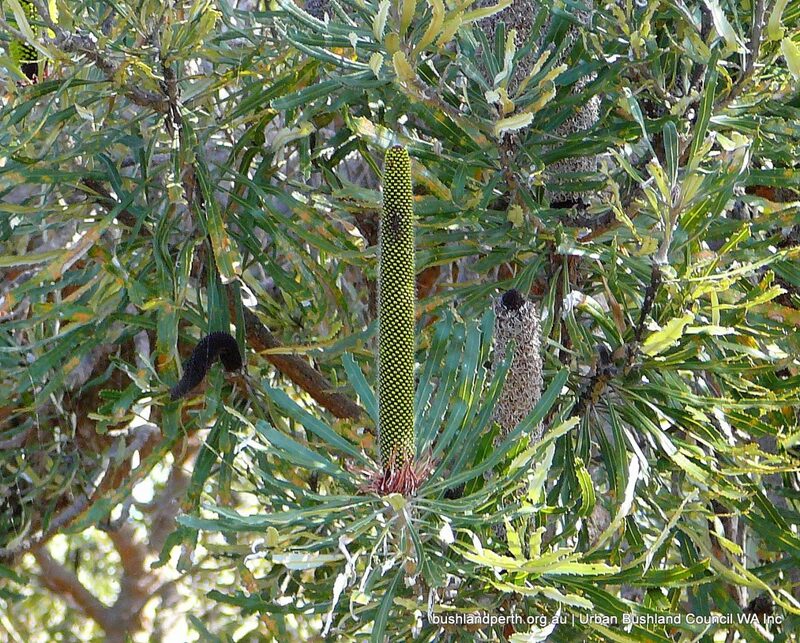 Swamp Banksia (Banksia littoralis). 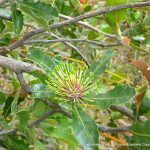 In full bloom – Autumn at Rockingham Lakes RP. Photo: John Baas. 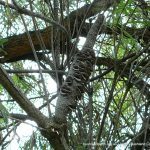 Swamp Banksia (Banksia littoralis). Flower spike – Autumn. Photo: John Baas. 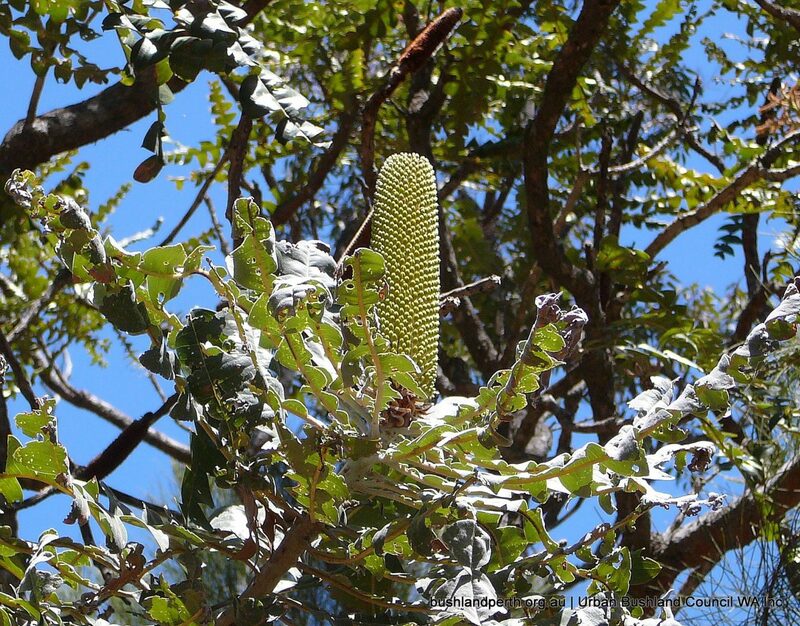 Swamp Banksia (Banksia littoralis). Showing the typically slender serrated leaves. 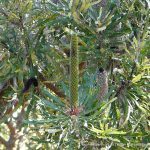 Swamp Banksia generally offers a denser foliage than the other five Perth area species. Photo: John Baas. Swamp Banksia (Banksia littoralis). 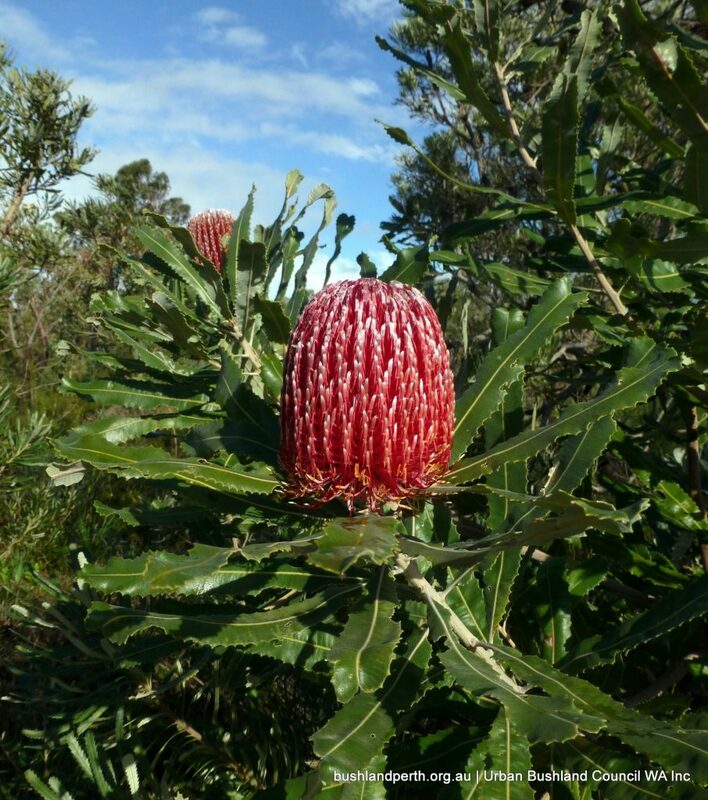 Swamp Banksia is commonly found around freshwater wetlands on the coast and also on the Darling Scarp. Photo: John Baas. 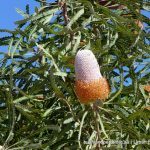 Swamp Banksia (Banksia littoralis). Spent cone. Photo: John Baas. 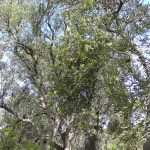 Holly-leaved Banksia (Banksia ilicifolia). Holly-leaved Banksia is normally a small erect tree and is common on many habitats incl. white or grey sand, black sandy loam, limestone, granite, and quartz. Photo taken in Inglewood Triangle. Photo: Christine Allbeury. 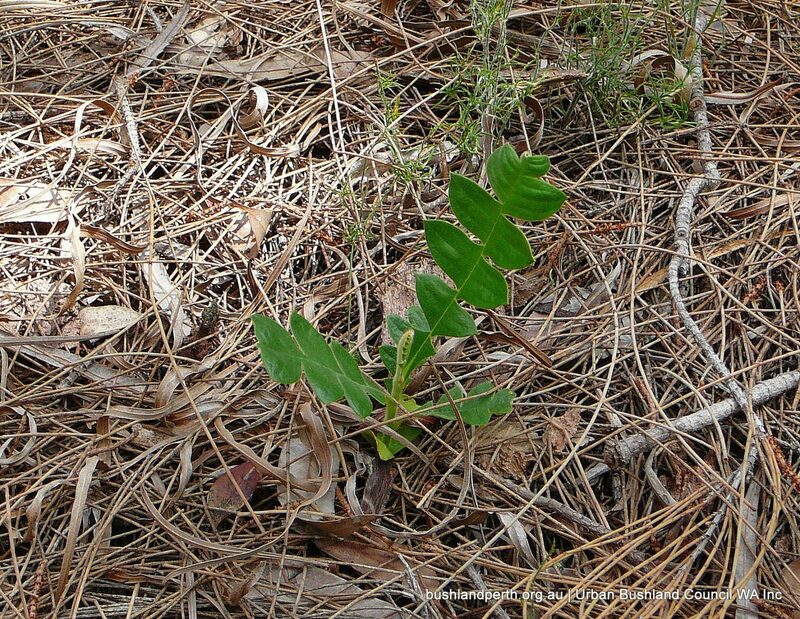 Holly-leaved Banksia (Banksia ilicifolia) showing typical conformation. 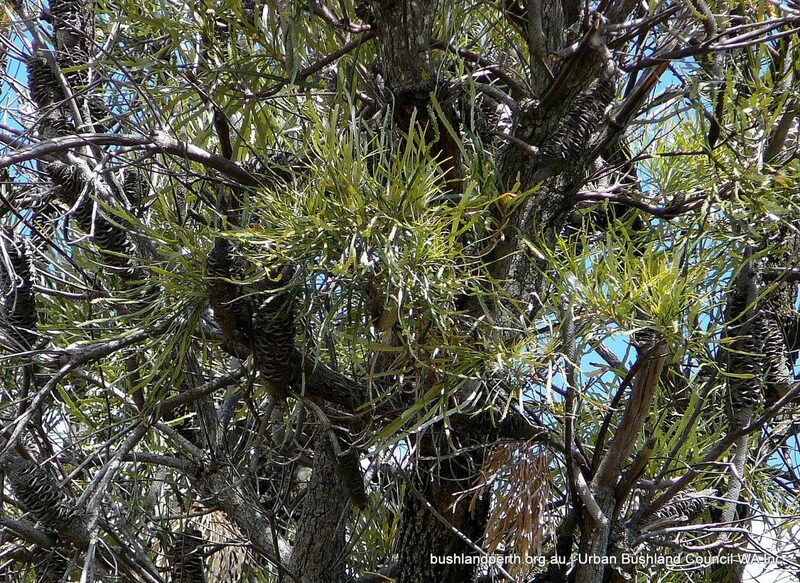 Holly-leaved Banksias are a relatively primitive Banksia species. Inglewood Triangle. Photo: Christine Allbeury. 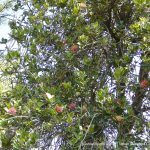 Holly-leaved Banksia (Banksia ilicifolia) at Inglewood Triangle. Photo: Christine Allbeury. Holly-leaved Banksia (Banksia ilicifolia) flowers are not as conspicuous as those of Perth`s other four Banksias but are very attractive when viewed closely. Inglewood Triangle. Photo: Christine Allbeury. 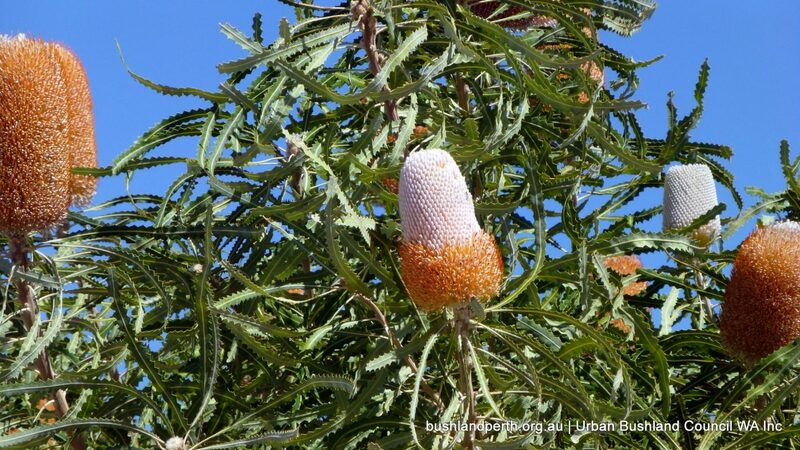 Acorn Banksia (Banksia prionotes). 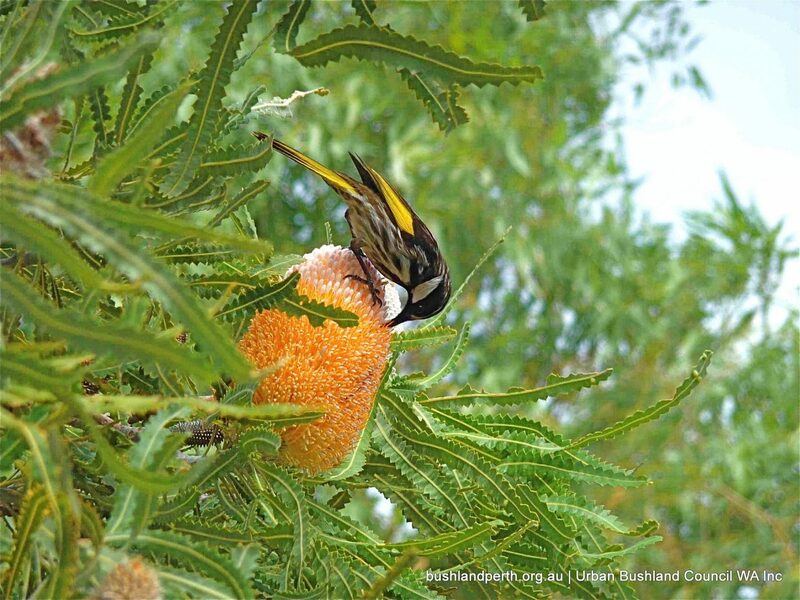 White-cheeked Honey-eater on a Banksia prionotes cone in Bold Park. 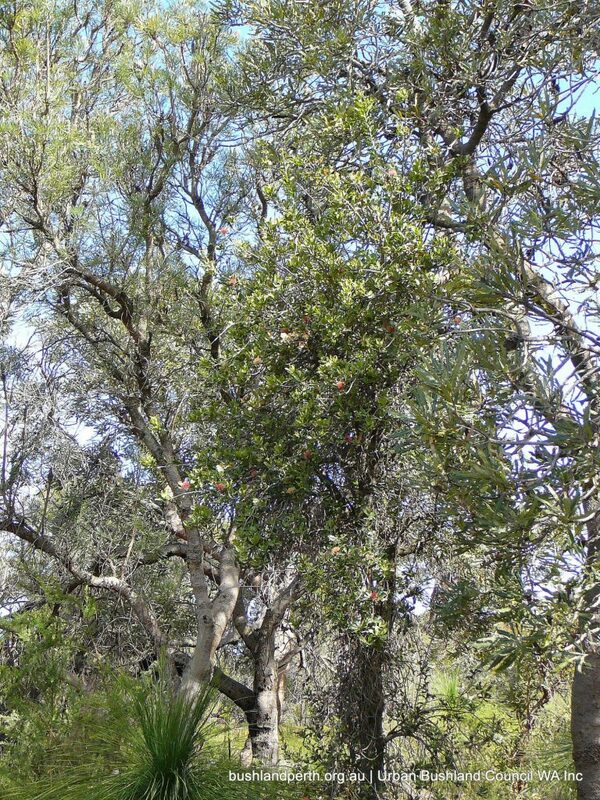 Acorn Banksia is readily killed by fire (to a much greater extent than other Perth Banksias) and not surprisingly is a ready coloniser. Photo: Iain. 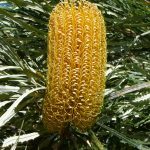 Acorn Banksia (Banksia prinotes). Banksia cones are an important food source for endangered Black Cockatoos. Photo: Marg Owen. 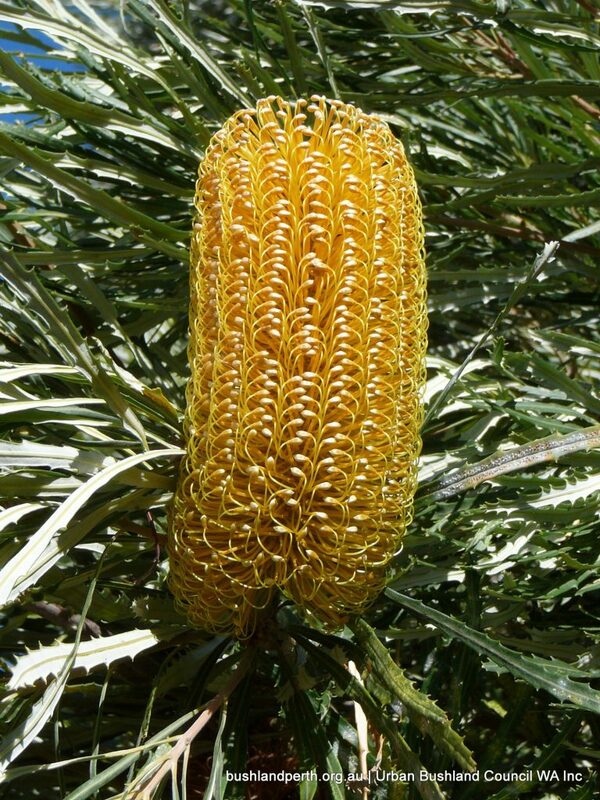 Acorn Banksia (Banksia prionotes). Cone detail. Photo: John Baas.